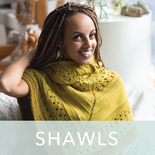 Known for geometric designs like Maurits (Wool People 8), Andrea Rangel returns to a form she previously explored with Tree Rings (Wool People 6), the classic pi shawl as pioneered by Elizabeth Zimmermann. 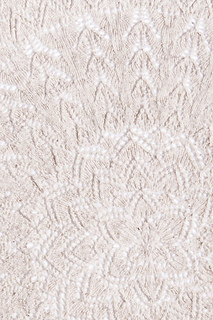 Arbre is worked in Loft from the center out in five simple but effective coordinating lace motifs. 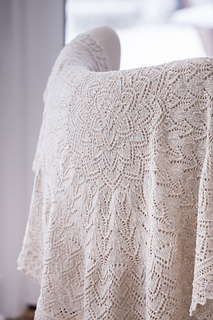 The spidery edging is knitted on at the end, and all sections of the shawl can be worked from written directions or charts. 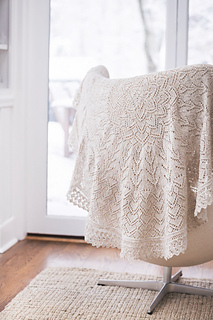 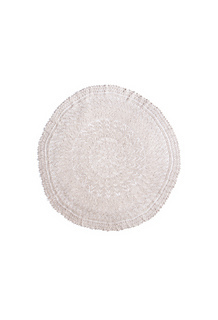 If your personal style doesn’t run to lace on a dramatic scale, this timeless circular design also makes an elegant lap blanket to drape over the couch or an heirloom for a new baby. 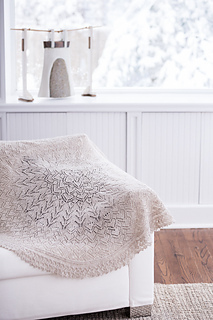 Read about this pattern on my blog.